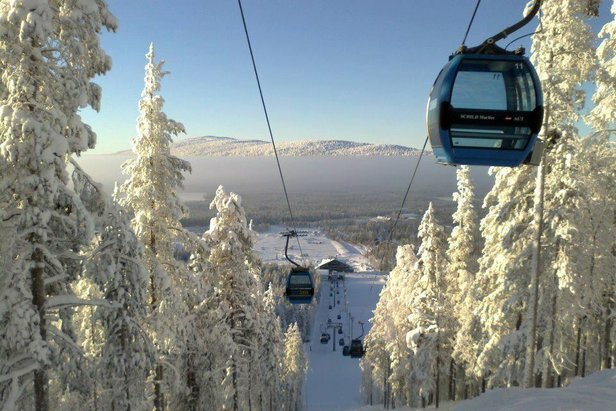 170km north of the Arctic Circle, you'll find Levi, Finland's largest and most popular ski resort. The Narniaesque landscape resembles a fantasyland: frozen trees encrusted in layers of snow, glowing mists rolling across the slopes, ice sculptures dotted around the village streets, and then there's the awesome electric light show from the aurora borealis above. Ski slopes here reach a maximum of 531m but its northerly latitude means fresh snow dumps are almost guarenteed and the long winter season runs into May. Don't forget your thermal underwear as mid-winter temperatures plummet to -17 degrees celcius. Lift queues in Levi are unheard of, just head straight up the mountain and stretch your legs on the miles of empty ski runs and explore the boundless off-piste powder. Skiers in need of a pick-me-up can head to one of the warming mountainside teepees for a barbecue smoked sausage and shot of traditional lakka or mesimarja (Finnish liqueurs made from cloudberries and Arctic brambleberries). Levi, Finland is home to 44 pistes and 28 lifts covering a total of 40km, with slopes from beginner to alpine World Cup level. A few days here is enough for most skiers to feel like they've conquered the fell. So it's a good thing that there is plenty to do off the slopes too. 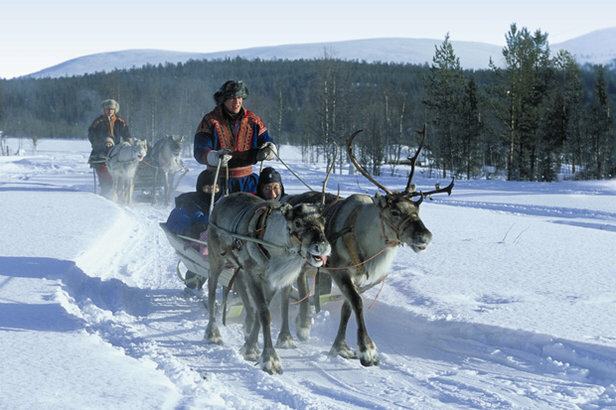 Levi is a playground for non-skiers, with ice hotels, snowmobile and reindeer safaris, a visit to the 'real' Santa Claus, Finnish saunas, and throw in the Northern Lights and that's some pretty impressive off-slope activities! 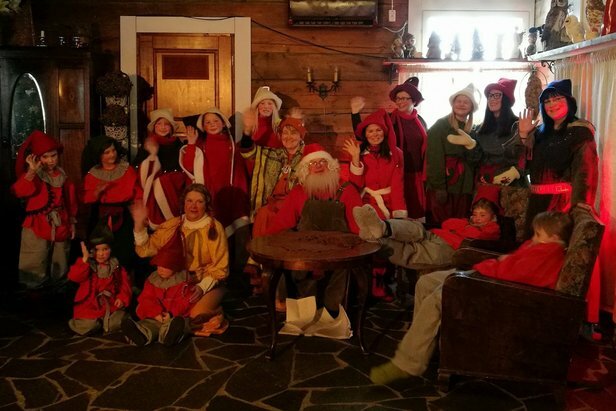 Families can combine skiing in Levi, Finland with a visit to the Christmassy Tonttula Elves Hideaway theme park where you're greeted by an elf that leads you through the wintery forest and secret tunnel to the Elves Hideaway. Here you bake gingerbread cookies, make Christmas decorations, visit the local reindeer and of course meet the big man himself. 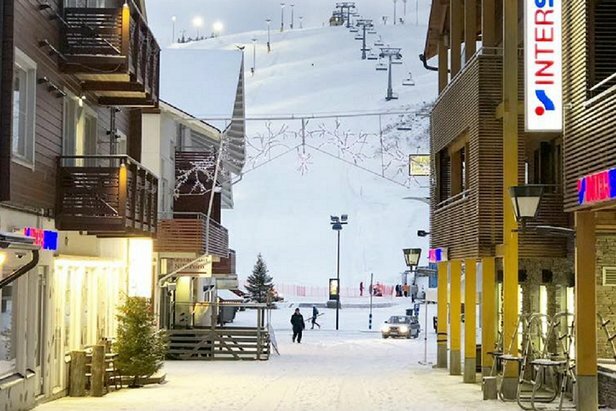 The compact, modern resort of Levi has a good selection of bars, restaurants and hotels in the village itself. 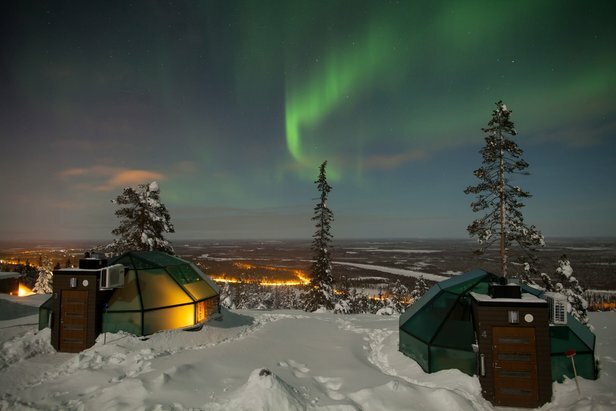 And a little further away you'll find some more exciting options: the ice hotel of Luvattumaa with ice bar and ice chapel (4 miles away) or the glass-domed igloos of Levin Iglut (6 miles away) which are ideal for watching the Northern Lights (the best time is mid-November to mid-April). Levi is just 15 minutes/10 miles from the international Kittilä Airport.